“If you say that we should not educate children who have come into our state for on other reason that they have been brought there by no fault of their own, I don’t think you have a heart,” Perry said. Did’ja see that? 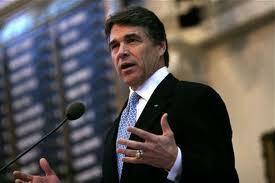 Governor Perry wants us to govern based on “heart”. As in, if you don’t love puppies, you don’t have a heart. As in, if you don’t think that the government is entitled to steal your property because poor people don’t have health insurance, you don’t have a heart. As in, if you don’t think that the rich need to pay more in taxes while some people do without food iPhones, you don’t have a heart. The capital “O” Oughts of government have nothing to do with “heart”. They have to do with a concept called Liberty. The sooner we bring this lesson home the sooner our country gets back on the right track. This entry was posted in Elections 2012, Liberty, Politics: National and tagged Rick Perry, Ronald Reagan. Bookmark the permalink.